I’ve admired Splendid clothes in the past, but I never really gave them much consideration. A recent detour to this really great mall to drop off my watch for repair (I thought I just had a dead battery but then discovered that a small sapphire in the winding mechanism was also cracked, necessitating sending it off for a total re-haul. I see dollar signs. Sigh) brought me past the Splendid boutique. Naturally, I went in to investigate. This brand is exactly what I’m feeling like wearing now. The t shirts are made from the softest cotton imaginable, and the cuts and colors are modern and simple. I couldn’t find a picture, but I got the striped shirt in gray and white, not navy, plus a charcoal tank to wear under it. 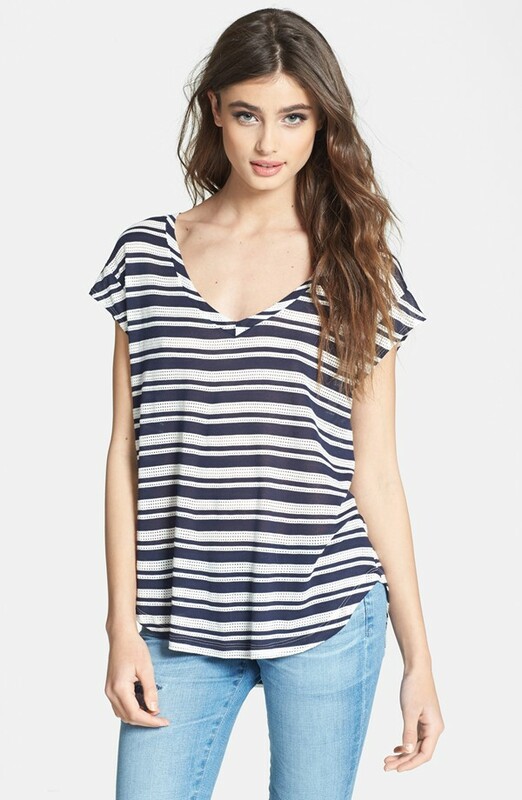 This drapey lux boyfriend tee is perfection. I want every color. This dolman sleeve top didn’t initially attract my attention, but the salesperson suggested trying it on with the promise that it was incredibly flattering and hits in all the right places. She was right. I got this is oatmeal and black. I didn’t imagine embracing the upscale sweatpants trend, but the salesperson also suggested these pants. 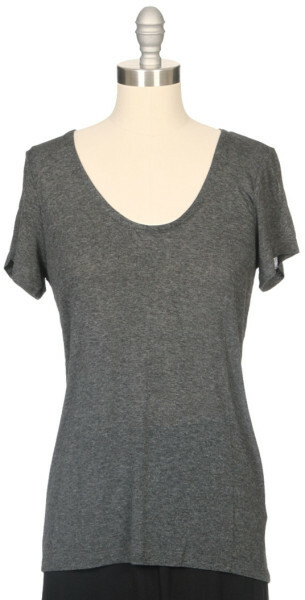 Since her recommendation on the dolman sleeve top (above) was spot on, I gave them a shot. Whoa. Supreme comfort and oddly, they are very flattering. Sold. P.S. If you want to get some really, really good deals on Splendid, check out 6PM.com. I would also suggest sizing down, as the clothes run big.